Like a Gold Cup good thing. 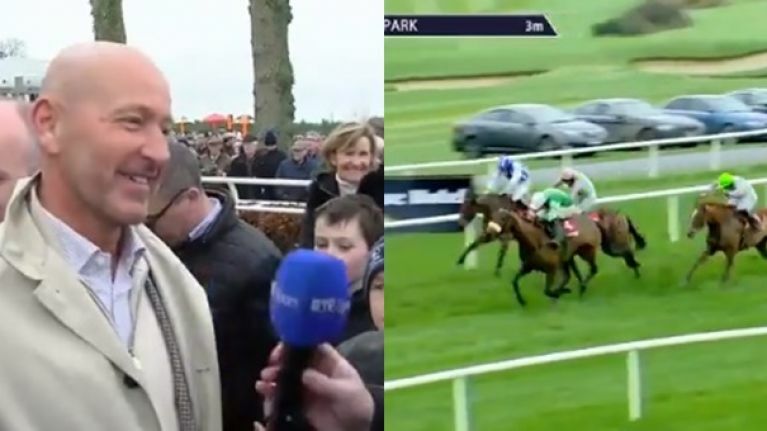 Finally, after entries aplenty and withdrawals to follow, Presenting Percy made his seasonal re-appearance on Thursday afternoon in Gowran Park and just like last year, Pat Kelly's horse made it worth the wait. In fairness, this was probably always the plan. After coasting to a mouthwatering RSA Chase victory in March last year, the whole country began to talk about Presenting Percy in Gold Cup hushes. So as the Christmas festival came and passed this year with favourites being turned over left, right and centre and with the unusually good ground undoubtedly having a part to play in that, a shrewd Kelly was never going to throw his prized possession out in the festive jungle. 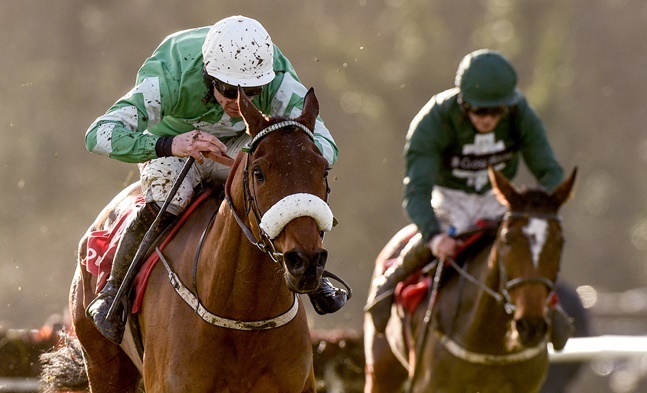 He'd come here, to the John Mulhern Galmoy Hurdle in Gowran Park last year and the apple of his yard had sprinted away from Augusta Kate and with the ground softening up again, the stage was set. 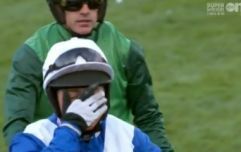 He went out a generous 9/4 favourite and he came in with three of Mullins' charges trailing in his wake after a faultless round of jumping and a perfect pick up when asked by his partner in crime Davy Russell. Cheltenham parade ring in frenzy after "one of the great hours in horse racing history"
Just look at that, tough as old boots, hungry as ever. On the back of that win in Kilkenny, the word is that he may do as he did last year and go for the Red Mills Chase here in a month's time as one final prep-run before Cheltenham. And with Cheltenham's blue riband event, the Gold Cup the target this year, the excitement is even more frenzied around him this year. Owner Philip Reynolds, son of Albert is buzzing. "Maybe Percy has put down a bit of a marker here today," he said to RTÉ's Brian Gleeson. This run saw him cut from 4s into 3/1 for the Gold Cup and with every other horse in that race looking vulnerable, at 3/1, that looks a steal and Irish punters are getting on already. Great win by PRESENTING PERCY at Gowran Park. Well I got that wrong! Now 3/1 for the Gold Cup and he will be incredibly hard to beat.